Along with doors and bikes, we can never pass up a good cow photo. 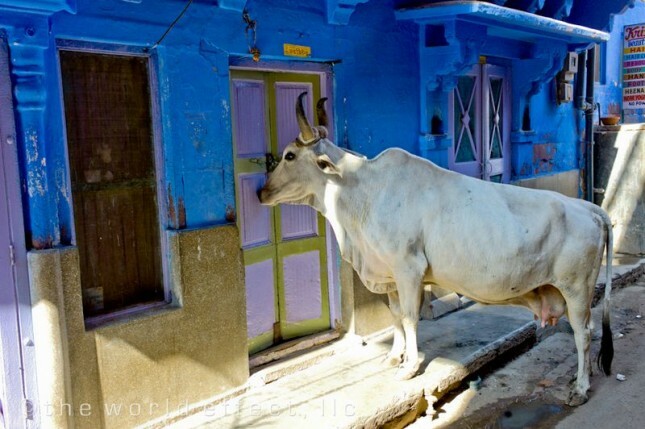 This cow was trying to push her way into this door, notice the door flexing inward. I guess it’s like a dog scratching at the door to let them in back at home. This other photo, yes another bike, as I said last post, I love bikes. 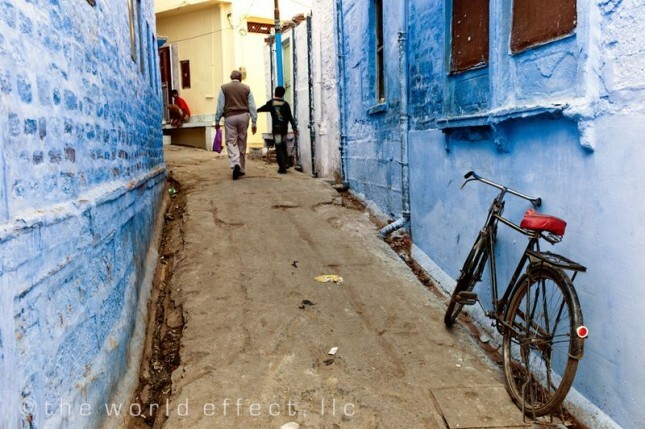 It also gives you a good perspective on what the little lanes through the old town Jodhpur are like. 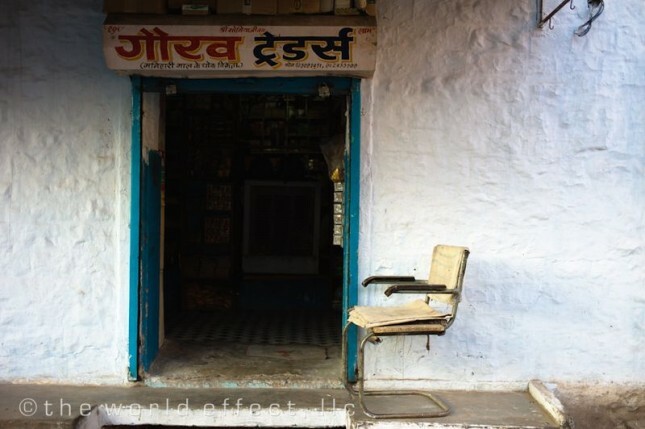 I like this old chair and door just for the simplicity of it. 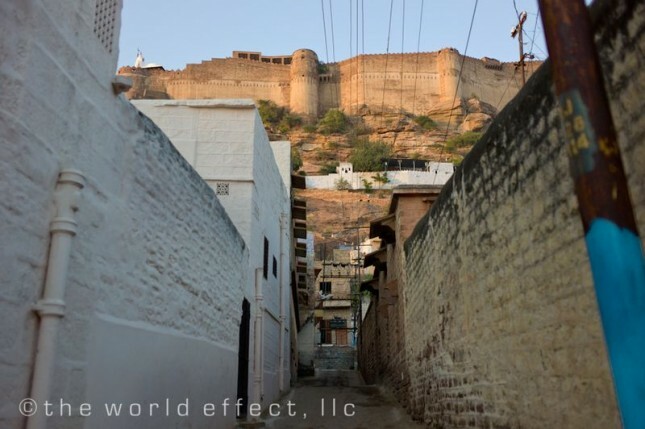 The next photo gives another view of a narrow lane of Jodhpur leading up to the famous fort overlooking the city from high above. We have a post from one of our last trips here showing the inside of the Mehrangarh Fort here.